A heavy duty jack stand featuring a rubber wheel head that is perfect for roll welding of pipes and rounds from 1-1/2" to 24". 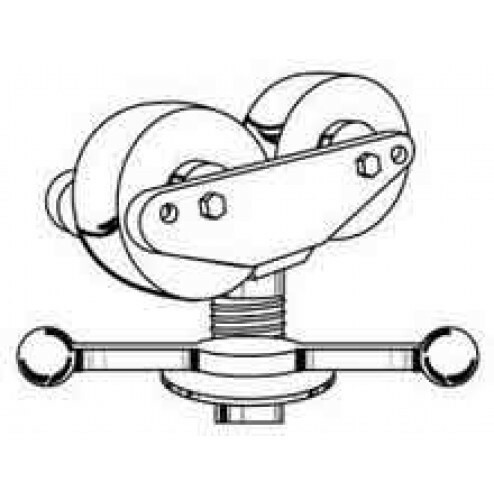 The Sumner 780381 Hi Heavy Duty Jack with Rubber Wheels is equipped with a rubber wheel head with a non-marring surface for roll welding pipes and rounds. Pipe Size: 1-1/2" to 24"